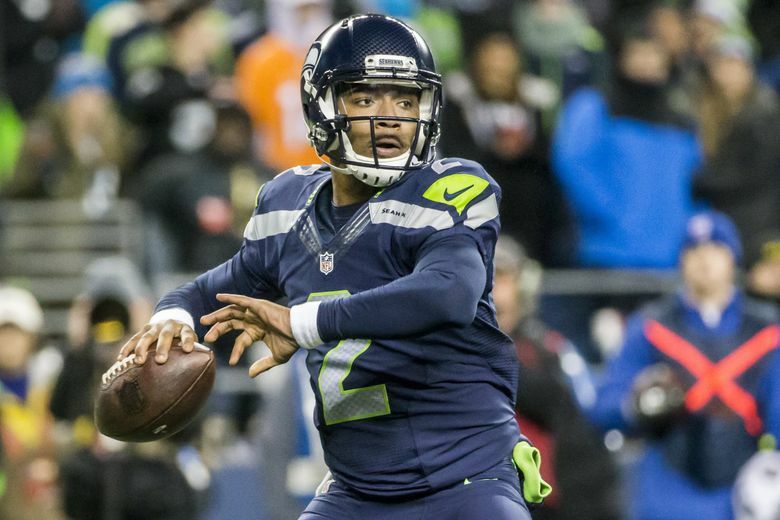 Could Trevone Boykin’s arrest change Seahawks’ off-season plans for adding backup quarterback? The Seahawks were already expected to add at least one quarterback to compete for the backup spot in 2017. But Trevone Boykin's Monday arrest could add some urgency to those plans. The Twitterized 24-7-365 information world of today in results in a desire to quickly solve just about any issue as soon as it arises. So when it was learned Seahawks quarterback Trevone Boykin was arrested early Monday morning on misdemeanor charges of marijuana possession and public intoxication, questions were immediately raised about what the Seahawk will do now, with just as many suggestions offered. Coincidentally, the news broke as the NFL is holding its league meetings in Phoenix, with coach Pete Carroll and general manager John Schneider in attendance. Each is expected to speak to the media later in the week — Carroll already scheduled to talk on Wednesday along with the rest of the NFC coaches. And if that reads like the team may wait a while before taking any action on Boykin — if it takes any at all — indications are that’s probably the correct assumption. As coach Pete Carroll has often said, every situation is different. The team may be content to let the legal system play out before deciding on any punishment — or simply let the NFL determine any punishment via its personal conduct policy. True, that this is Boykin’s second offense may complicate things just a bit. We’ll see. Also worth remembering, though, is that while Boykin spent all of last season as the backup to Russell Wilson, he is also hardly a lock to be on the roster in 2017. True, as noted over the weekend, he is the only other quarterback on the roster at the moment. But the Seahawks will undoubtedly sign another QB at some point in the off-season to compete for the backup job in training camp, and having a fourth on the roster at some point wouldn’t be out of the question. That Seattle didn’t feel it an urgent need to add another QB yet could be seen as indicating at least some level of comfort in Boykin, who was 13-18 for 145 yards last season one touchdown and one interception. Or it could simply mean Seattle has been continuing to explore options, possibly just waiting until the NFL draft to either take a quarterback, or more likely sign one as an undrafted free agent. The news of Boykin’s arrest, though, led to immediate social media speculation whether Seattle might have renewed interest in the biggest name veteran who remains a free agent — former 49er Colin Kaepernick. That Kaepernick remains unsigned has elicited much discussion of late, with many observers wondering if his increasing political stances last season — notably, sitting and then kneeling during the national anthem – are scaring teams away. Among those stating that view are current Seahawk defenders Richard Sherman and Michael Bennett. There was no immediate indication, though, that the Seahawks were suddenly looking more seriously at Kaepernick as a result of the Boykin arrest (and it should be added, there has been no indication they have been looking at him at all). It’s worth remembering that one attraction to Boykin last season was that he came about as cheaply as a backup quarterback can — as a UDFA he made the NFL minimum last season of $450,000 plus a $15,000 signing bonus (which is pro-rated over the life of the three-year contract). Boykin is also due to make the minimum for a player with one year of experience in 2017 — $540,000 — as well as the minimum for a player with two years of experience in 2018 — $630,000 (a contract that is standard for a UDFA). Seattle needed to find any money it could last season with the big-money portion of contracts for a few existing players beginning to really kick in, including Wilson, whose salary cap number rose to $18.5 million last season from $7 million the year before, and will continue to increase to $23.2 million by 2019. The Seahawks saved about $1 million in going with Boykin last year instead of Tarvaris Jackson, who had held the job in 2015 (and who also had his own legal issues that complicated things, as well. Jackson did not play with any team last season, as it turned out). Given that Seattle has one of the most stable starting QB situations in the NFL with Wilson, the Seahawks are never going to want to invest much in a backup, which is why someone with the pedigree of Kaepernick may not be a realistic option — it still seems likely that at some point he could probably find both a team that would be willing to pay more and where he’d have a better chance of starting (the least the Seahawks could pay Kaepernick is $900,000, assuming he’d be willing to take a minimum salary deal, which would be quite the comedown from the $13.25 million salary he had in 2016). But Wilson’s injury issues last season — a sprained ankle suffered week one, a sprained knee week three and a pectoral muscle injury at mid-season — made the Seahawks think at least a little bit more about how they handle the backup QB spot. Wilson had never missed a snap due to injury before last season, not ever even missed a snap in practice, and that gave the team comfort it could go inexpensive at the backup spot, as well as well as just going with two QBs — giving the team some much-desired roster flexibility during the regular season. But as Carroll said after the season “the reality was right there’’ of potentially having to play a backup, not just to finish a game but potentially to start a few. “You’re down to your backup guy with nobody else on the roster,’’ he said. Seattle, though, also had hope that with a year under his belt, Boykin would enter 2017 that much readier to play, if needed. Conversely, Carroll also said the team would continue to explore QB options, as well as whether it can continue to have just two players at the position in the regular season. Monday, though, may have made them think about doing it just a little bit more consistently this year.